Rotay Tarli. Rotay lo Koltnorn ro Aranor. Greetings traveler. Welcome to the kingdom of Aranor. May your visit be pleasant, your business profitable, and your returns often. If you are looking to join our great kingdom you may you find a shield that protects you from your foes, a sword to smite those who wish you harm, and great bounty in your life. High in the mountains of Aranor old warrior clans used to battle over every scrap of land, every resource, and every source of honor. Of these clans there was Rysharya, claiming home on the highest slopes of the tallest mountains. It's Kolt, it's leader, Tarbor Kallar was a legendary warrior who had often dueled other clan leaders to keep his people safe from war. This didn't last. One day he met a man he couldn't beat, as all warriors will, a Kolt by the name of Rathlar. Rathlar lead a much larger clan at the base of the mountain and had begun conquering neighboring lands to grow his own. After his defeat of Tarbor, Rathlar began his army's march up the mountain. Knowing they couldn't defeat this threat alone, the high mountain clans formed an alliance, with the new Kolt of Rysharya as it's founder and head. Merrus Kallar, the Rysharya Kolt, organized a defense against the coming attack and after a long bloody battle, the high mountain clans had been victorious. 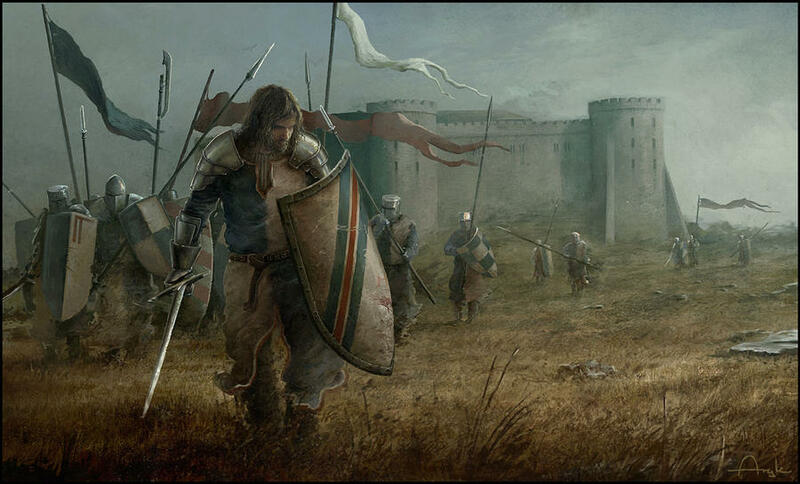 Eager for more victory, honor, and spoils the leaders of the alliance pushed the invaders back down to their capital. It was there that Rathlar challenged Merrus to a duel. The other Kolts of the alliance asked Merrus to let their armies settle it, fearing the might of Rathlar and the thought of Merrus's defeat. Ignoring the requests of his fellow Kolt, Merrus accepted the duel as traditions demanded. The fight was fierce, bloody, and long but ultimately the Kolt of Rysharya won. With their leader defeated the enemy surrendered to the alliance. For years peace reigned and the alliance fused together under Rysharya, claiming the name of Vellshana. Over time more Kolts swore fealty to Merrus and his lands expanded even greater. Fearing the strength of Vellshana, it was time for the other clans to form a pact. War again broke out. After a long campaign Merrus and the people of Vellshana finally united all the mountain clans under one banner. Merrus had found peace for his people. He later married a queen, or Layan, from the lands at the borders of his new domain and the two lands, made one, saw peace and prosperity for years under the title Aranor. After his passing his son, Aurthal, grew Aranor through shrewd diplomacy, gathering even more of the surrounding Kolt and Layan. It was at the end of his reign when the Aranor we now know stood together, united under the banner of house Kallar and the last, true Kolt. The high council is made up of appointed officials who help the kingdom. Most of the council will be made up of non-nobles or lesser nobility as to not interfere with the running of a duchy. Members of the council are asked to live within the capital so that they may be at hand when the kingdom needs them. Head of the king’s armies. They manage all military actions, both at home and abroad. Keeper of law and order. 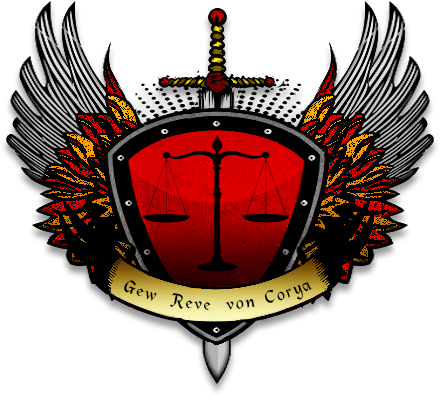 The Supreme Justicar oversees the writing and enforcement of the law as well as sits on the highest court. Head of the navy. They are tasked with defending our shores and trade vessels from any and all threats. Chief of education, knowledge, and research. Maintaining libraries and schools, directing research, and recording the kingdom's history. Manager of the treasury and trade. The Master of Coin oversees all trade deals, manages the mints and treasury, and handles the collection of taxes. Head of infrastructure. They maintain and build roads, guide agriculture and urban planning, and oversee the construction of government buildings in order to ensure the highest standard of living for the citizens of Aranor. Head diplomat. The High emissary maintains diplomatic relations with other kingdoms and the delivering of messages and information to foreign parties. The Keganorn is made up of all the dukes of the kingdom. This is where the king goes to gauge interests and seek the advice of the different lords of land. While the Council of the Realm doesn’t hold the same authorities as the High Council, they play an important part in keeping the kingdom moving together. Good luck! US East is gonna be busy! I Pledge my Loyalty to Queen Ieana! The City of Braenaroch and its Mayor Yorick Pledge their loyalty to the Queen! What is your stand on merchants that wish to sell single sets of fingers that have been in pinkers and individual fingers that been in stinkers? This looks interesting. I picked up the Baron Pack myself, from the post here it appears role play esque? Is NA East the unoffical RP server then? I plan on becoming a master smith. The smithing in this game sounds deliciously challenging and rewarding and really enjoyed it in games like Wurm Unlimited. As such, this looks interesting to me. Many groups have RP focus, but Aranor is by no means a fully rp group. We have RP specific areas, but largely a lot of our political discussion is entirely OOC. Partaking in RP is completely optional. I pledge my loyalty to the Kingdom of Aranor. Ya can confirm its not a roleplay kingdom. Sort of just do whatever you want and have fun. Though they do enjoy their D&D. I've pledged my loyalty to the Kingdom of Aranor. I too am interested in the view of the trade of Pinkers and Stinkers. I await your responce with patience. There are many open positions within Aranor! Rated best Kingdom in the east by Elyrian Hitching post editor Kalexius! Kingdom of Aranor is still recruiting and growing... want a safe place to build and grow in friendship join Aranor.